“Breathe. Just breathe.” A quote that could easily be directed at the audience. 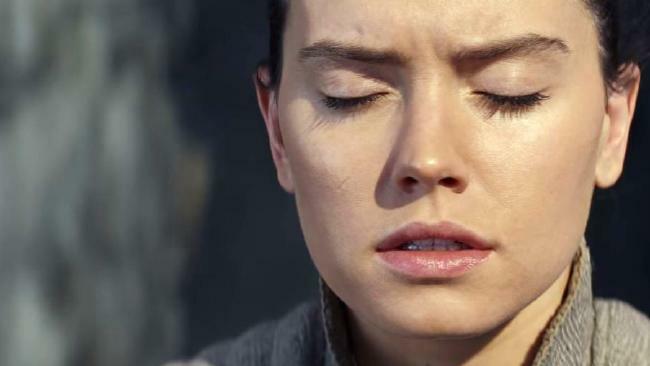 Star Wars: The Last Jedi, a film about letting go of the past and embracing the future, is being torn to shreds by fans who just can't move on from the original trilogy. Everything about this movie gets under their skin. The plot. The characters. All the icky feelings. Whatever The Last Jedi does, they despise it. It is, of course, a polarising film. Even on this website, we can't agree - here is one of our writers praising it, and another calling it the worst Star Wars film ever. Everyone needs to calm down. Stop. Think. Digest it properly. This isn't the straightforward, escapist Star Wars experience we have come to expect. It is provocative and subversive, and if you judge it too hastily you will miss the point. My own initial reaction to The Last Jedi was ambivalence. Walking out of the cinema I had no idea what to think of it, and I cannot stress enough how strange that is for an annoyingly opinionated young man such as myself. Where The Force Awakens filled me with nostalgia, Rogue One left me buzzing and the prequels were of course endlessly frustrating, here there was only a weird sort of hollowness. Sounds bad, doesn't it? But while those other films were obviously easier to love or hate, none of them stuck with me like The Last Jedi. And the more I thought about this movie, the more it grew on me. It is flawed. It disappoints you. It tears down the heroes of your youth and tarnishes their legacy. 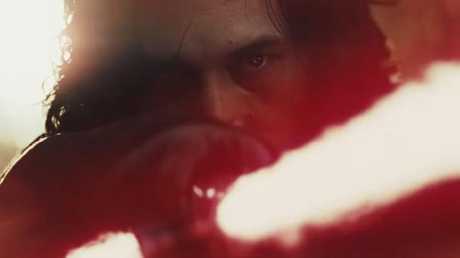 And it transforms Star Wars in a way that will irritate some fans, but ultimately make the saga far deeper and richer. 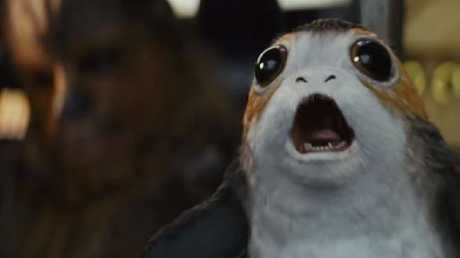 I'm not here to pretend The Last Jedi is perfect, because it screws up a lot. Finn and Rose's subplot is dull, largely irrelevant and destroys the pacing of the film's middle third. You can't understand anything Benicio del Toro's character says. Snoke, who has clearly played a huge role in guiding the story so far, is abruptly killed off without us learning who the hell he is or where he came from. Captain Phasma, a potentially fascinating character, is completely wasted again. And Leia's Mary Poppins impersonation is so ridiculous and jarring it actually drew derisive laughter from the audience in my cinema. But none of those flaws make this a bad film. 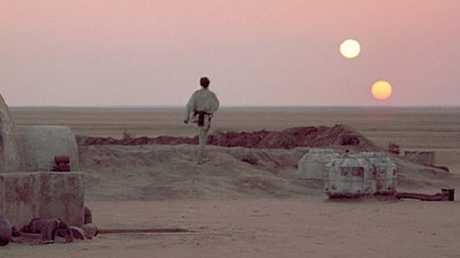 A New Hope is obviously a classic, even though a huge chunk of its first hour is unbearably slow. The absurdity of the ewoks in Return of the Jedi does not erase the excitement of its space battle and throne room confrontation. We embraced the original trilogy's foibles and eccentricities, because it did so many things right. 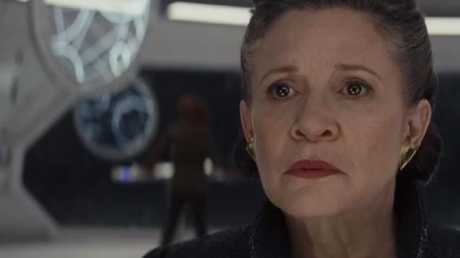 And while The Last Jedi often falters, it absolutely nails the most important thing - its characters. You read that right. The thing many of you hate most about this movie is its one unambiguous triumph. Let's pick out the obvious example, Luke Skywalker. And I want to spend a bit of time on him, because people are downright angry about the way he's portrayed in this film. The hero of the original trilogy is now a grumpy hermit who has cut himself off from the Force and turned his back on the galaxy. 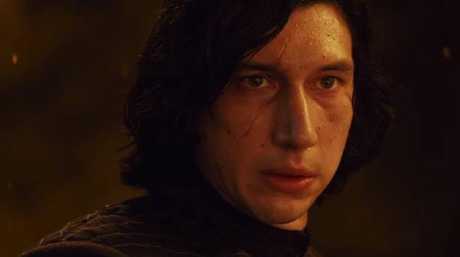 Most controversially, we learn that when Ben Solo was his student, Luke took a peek inside his head, saw some scary dark side stuff and (very briefly) considered murdering him. That mistake led to the destruction of Luke's Jedi academy and Ben's transformation into Kylo Ren. The critics say this is a betrayal of Luke's character. They claim he would never think about killing a student - just look at his unshakeable belief that Vader could be redeemed in Return of the Jedi. That is revisionist history. Luke is tempted by the dark side at least twice in that movie - he tries to kill the Emperor in a flash of fury before Vader intervenes, then clearly loses control when he finally overpowers his father. Yes, he turns away from the dark in the end, but only after going right to the edge. 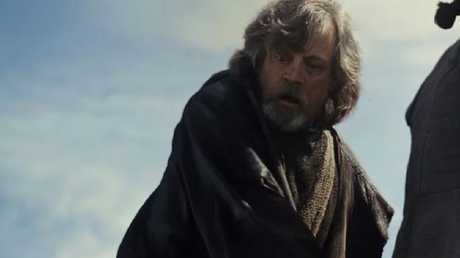 Luke tells Rey he was horrified by the extent to which Ben had fallen. When he looked into his mind, he saw no light; only darkness. Remember, Luke consistently said he could "feel the good" in Vader. He didn't feel that in Ben. He faced that classic moral dilemma - if you could murder Hitler (or in this case, space Hitler) before he became a monster, would you? And for a brief moment he considered doing it, before recovering the self-awareness to pull himself back from the brink. Nothing about that is inconsistent with Luke's established character. He's done it before. Remember this moment in Return of the Jedi? Yeah. It’s pretty similar. I can understand the disappointment of fans who wanted to see Luke at the peak of his powers throughout The Last Jedi. Instead, they got a broken man tormented by his mistakes. Yes, it's a letdown. That is the point. 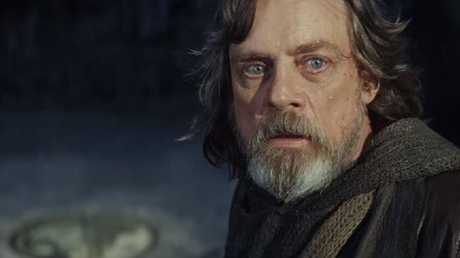 As Luke himself alludes to, Rey, Finn, the rest of the galaxy, and even the audience (that's you) all believe in and expect to meet the "legend" of Luke Skywalker, not the actual man. Real people are flawed. Sometimes they make the wrong choices. Traumatic memories haunt them - and few have gone through more trauma than Luke. Director Rian Johnson could have given us wish fulfilment. He could have written Luke as that classic Star Wars trope of the wise, all-knowing teacher, just like Yoda or Obi-Wan. That would have been easy, and expected, and we probably would have blasted him for resorting to Force Awakens-style nostalgia. It also would have been boring. We already have an earnest, pure, fundamentally good Jedi character in this trilogy - Rey. What's the point of bringing Luke back just to be an older version of her? So Johnson took a risk and gave Luke real depth. Yes, he is a hero, but he's also human. That doesn't ruin Luke; it enriches and humanises his character. His confrontation with Kylo Ren and subsequent death, or ascension, or whatever the hell you call it when a grumpy old Jedi becomes one with the Force, is perfectly written. It captures the essence of who Luke Skywalker is. By this point in the movie, Rey and Yoda have helped Luke make peace with himself. His inner turmoil has been resolved; his purpose rediscovered. He is closer to the Luke we remember. Saving the Resistance without actually igniting a lightsaber or committing a single act of violence isn't as satisfying, perhaps, as using the Force to wreck a bunch of huge metal gorilla walker things, or actually duelling with Kylo, but it is true to Luke's character. Finally, this is Luke living up to the legend. It's the man who brought down an empire by throwing away his lightsaber. Luke has never been perfect, but at the very end, he is the best version of himself. His death scene, an obvious callback to the famous binary sunset shot from A New Hope, is the most emotional moment we've seen in a Star Wars film. Why? Because we know Luke has struggled, and failed, and disappointed us, only to redeem himself at the end. This isn't a cheap piece of nostalgia. The movie has earned it. 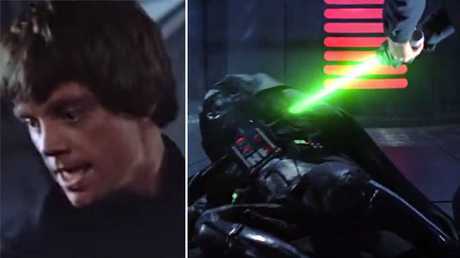 Luke's death calls back to this famous shot. Johnson brings a similarly deep approach to his other characters, constantly and brutally challenging them. 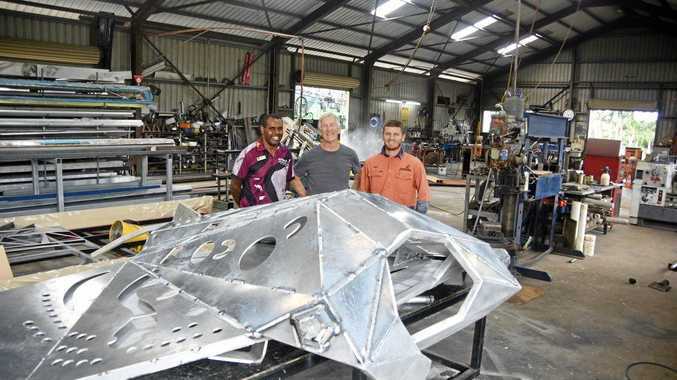 In the process, he subverts the predictable tropes that have been built into the DNA of Star Wars movies for so long. We all expect Poe Dameron, for example, to fill the role of the swashbuckling rebel who charges into battle against the odds and, somehow, always wins. But his defiance and impulsiveness get half his fleet killed, then blow up in his face again when he badly misjudges Vice-Admiral Holdo, earning him a slapdown from Leia. This adds value to Leia's legacy, as her last contribution to the saga is teaching her successor how to be a better leader. Her influence will now live on through Poe. And it forces his character to grow in a way that will undoubtedly pay off in Episode IX. Then there is Rey. Fans have spent two years obsessing over the identity of her parents. Is she a Skywalker? A Kenobi? A Solo? We convinced each other her lineage must be significant. Even Rey herself is tortured by that question. Again, Johnson chooses the option that not only defies our expectations, but adds the most to the story. If Rey were the offspring of someone famous it would immediately solve her identity crisis, giving her a clear place and purpose in the galaxy. "Oh, I'm Luke Skywalker's daughter? Guess I'll just save the day then." 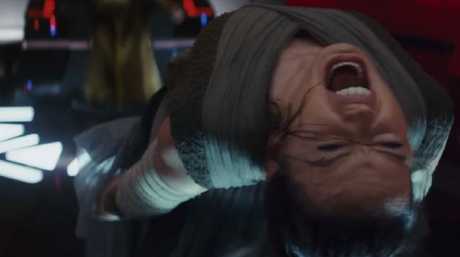 By making her parents nobodies, Johnson challenges her to forge her own, independent destiny - and draws a contrast with her rival, Kylo Ren, adding another layer of meaning to their charged relationship. He is Force royalty, a Skywalker and a Solo. She is, in Kylo's words, "nothing". He chooses the dark; she the light. The yin-yang dynamic between them is the most interesting thing about this trilogy, and this decision from Johnson deepens it. 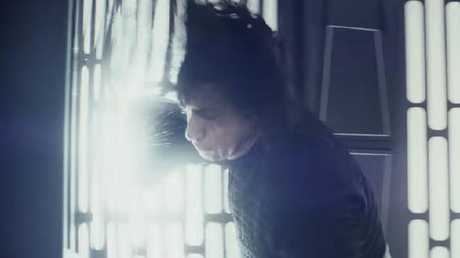 As does the shock move of killing off Snoke out of nowhere. I really don't think it would have been hard to insert three or four lines explaining his backstory first, but even so, I'm glad Johnson got rid of the generic moustache-twirling, force-wielding puppetmaster. The Force Awakens set up a rather familiar, and therefore boring, story. The hopeful first chapter, followed by the darker second one, and then the climax where the big bad's apprentice betrays him and redeems himself. That is what most of us expected, because that is what happened in the original trilogy. Not this time. Kylo betrays budget Palpatine a movie ahead of schedule, and not for the sake of redemption, but to seize power for himself. It up-ends everything. It adds a tone of unpredictability to the story. And it leaves us with the most compelling, charismatic character as the main antagonist for the final chapter. You can justifiably complain about many things The Last Jedi does, but the character writing? That isn't one of them. I get it. You wanted Luke Skywalker to be the same inspiring, heroic guy he was 40 years ago. You wanted to see whether your favourite Snoke theory panned out. You wanted the identity of Rey's parents to be a shocking revelation. I did too, and when none of that happened, the whole experience felt hollow. Then I stopped judging The Last Jedi based on my preconceptions of what a Star Wars film should be, and I found the stuff that's actually in it enriches the plot far more. Not just for this movie, but the next one, and the one after that. The angriest fans want to have it both ways. They eviscerated The Force Awakens for being too similar to the originals, and now they're crapping on The Last Jedi for being too different. Not to mention the avalanche of ridiculous complaints about the so-called politicisation of Star Wars - as though George Lucas's movies weren't obviously political as well. 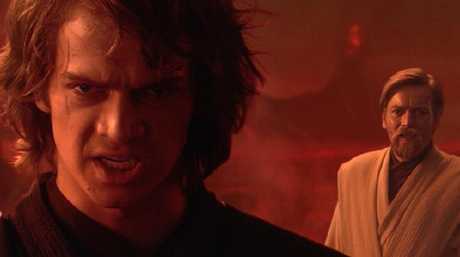 "If you're not with me, then you're my enemy." "Only a Sith deals in absolutes." Come on, tell me that isn't a dig at George W. Bush. Older Star Wars fans - and that includes my generation - need to realise that these films are not being written just for us anymore. There is a new generation growing up now, and the films must evolve with their audience. That means the values they reflect will be different to those from the 1970s. It means there will be more diverse characters, with emotional complexity and shades of grey. They might even cry occasionally! It means new characters, like Rey and Finn and even someone like Holdo, must take precedence over our hunger for nostalgia. None of this is about political correctness or winning Oscars, as so many people seem to think. It isn't a personal attack on your politics. It's about giving new Star Wars fans the chance to identify with their heroes, just like you did when you were young. You still get to see all the cool stuff you once loved, like lightsaber fights, space battles and crazy Force powers. You still get a story full of drama. And dare I suggest that if you'd stop measuring every instalment against The Empire Strikes Back, you might start to enjoy those things again. Yes, even emos get a role in Star Wars now. Deal with it. The Last Jedi certainly isn't the best Star Wars film ever made - any honest appraisal puts it somewhere in the middle of the pack - but it is the boldest one we've seen in a long time. It is an acknowledgment that Star Wars must renew itself. It has to surprise us again, not simply rehash the same tired tropes over and over. This film is a success because it gives future titles in the series permission to deviate; to be original. And whether you like it or not, that kind of reinvention is necessary if Star Wars is to stop itself from growing stale.